My cast was changed today and we brought my daughter to watch the process. 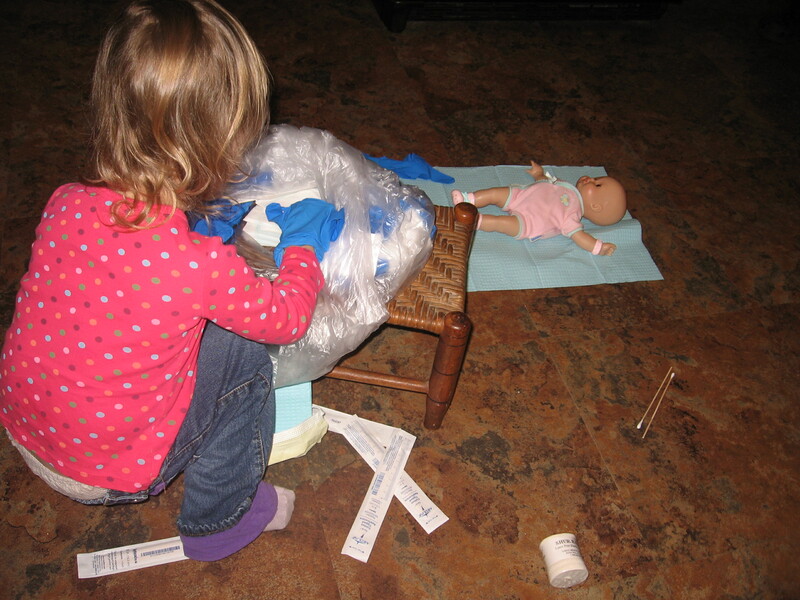 It’s only fitting as she is now a bandaging expert at home! Our beloved nurse hooked E up with a bag of hospital items to add to her “Doctor Kit”. 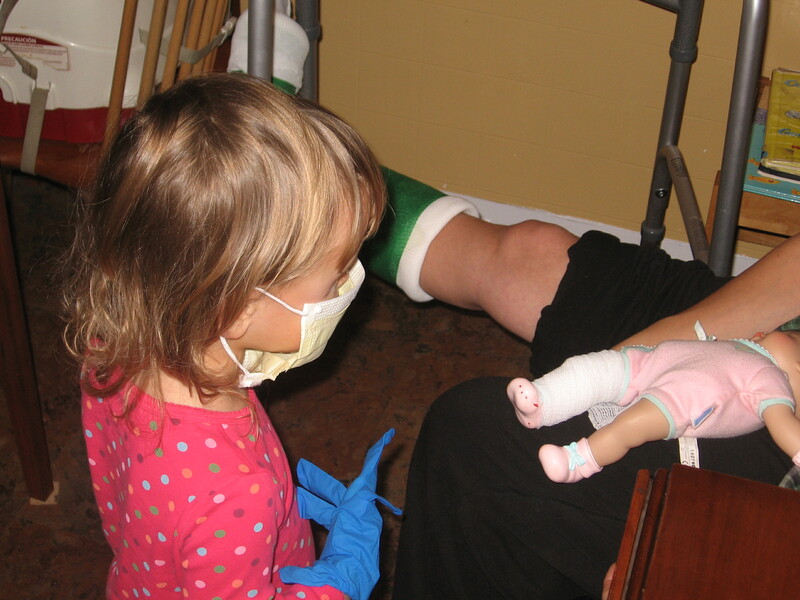 LOVE the floppy-fingered blue gloves, and the mask, and the baby doll with a wrapped-up leg that looks just like mama’s. don’t you love great nurses? they make all the difference. i still remember the warm-skinned feel of a nurse who was recently holding my shoulder while something was hurting A LOT. how she knew, without words, just what i needed….kind of amazing. And YOU were one! Angels in scrubs, I say. B and E – take care of each other….looks like it’s working.